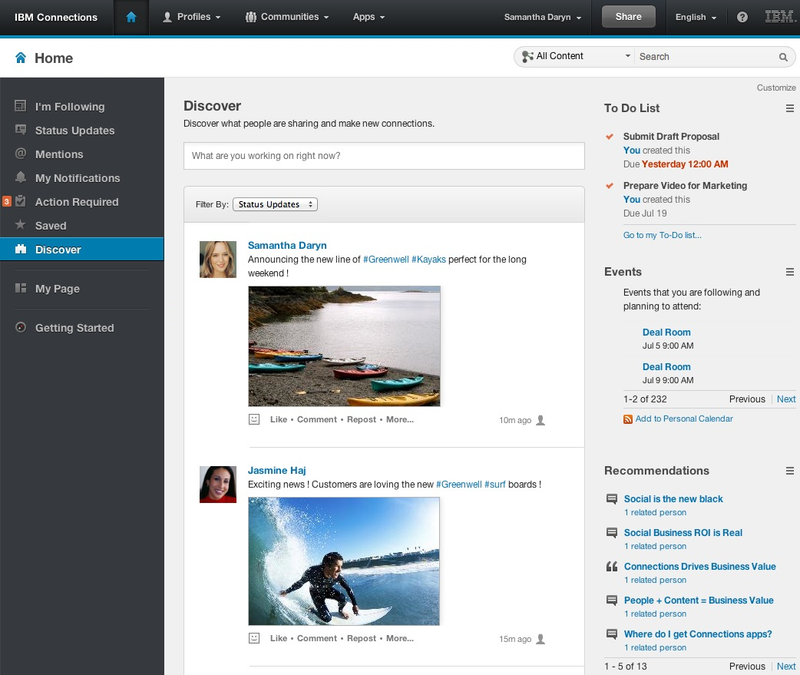 I'm happy to announce that we just made a new theme available for IBM Connections, IBM's enterprise social network (ESN). This theme was first shown at IBM Connect earlier this year and has been used by our cloud customers for a while now. The feedback from our cloud customers has been extremely positive so far. I've also been getting a lot of requests from our on-premises customers that they would like to use this new theme. The good news for them is that the theme is available today and it's ready for download! You can download the theme from our catalog here. Deploying the theme takes just a few minutes so go on and get it! Note: Please read the read me ( hey, it's a good reminder! ) for system requirements and installation instructions.